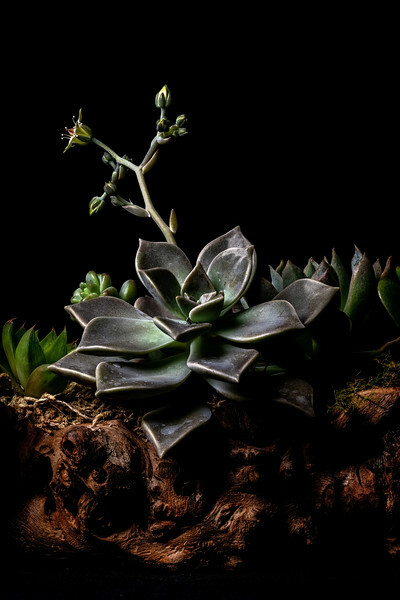 Still lifes emphasising foliage exhibit a cooling and calming quality, really embodying the "zen" phoilosophy. This makes them ideal for decorating bedrooms and bathrooms - places that need to be calming and restful spaces. This gallery reflects a new interest of mine which is capturing the glorious but understated forms of foliage plants. 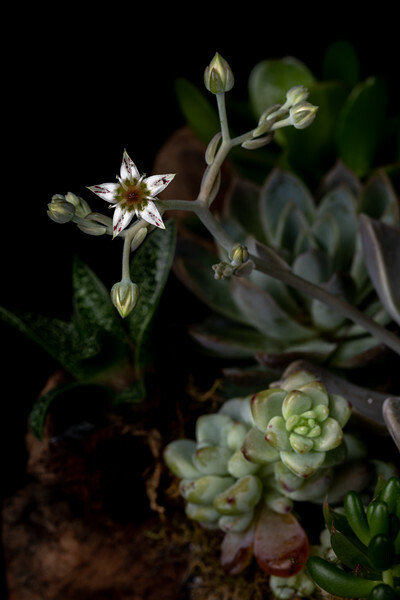 This currently concentrates on succulents but will be expanded in the future. 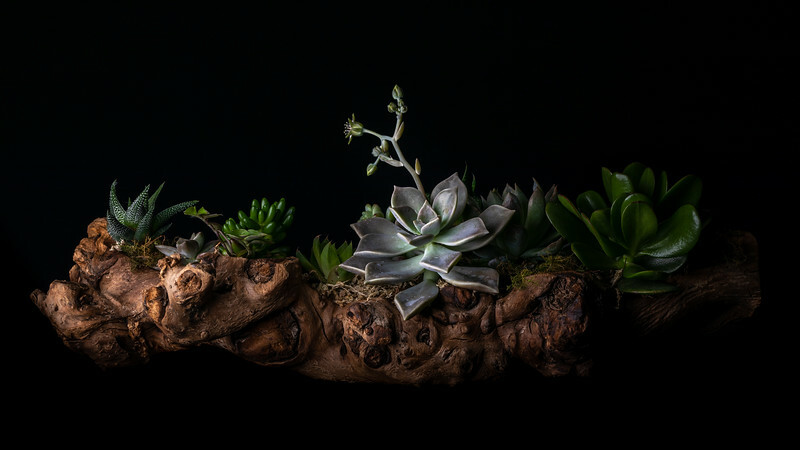 An inspiring collection of succulents, all nestled in a hollow log.